How are Chatbots shaping the future of Customer Care? 6 ways AI is revolutionizing customer service in Hotels! FITUR, one of the most important tourism industry events in the world, takes place from January 23 to January 27, in Madrid. In the Age of the Customer, the focus is no longer on the services your hotel has to offer, but on your customer’s needs and wants. How can an automatized chat solve the biggest problem in the hospitality industry? Conventional vs Hybrid chat widgets — Who wins? The global meeting place for the travel trade!  HiJiffy is joining Hotel-Up. Together we are revolutionizing hospitality! HiJiffy will be there from the 26th to the 27th of September! Have a website that speaks to Millennials! Have your demo ready in 2 business days! Shall we speak of them? Benidorm is more than beaches and nightlife!